Early this morning it appeared that there was a third egg in the nest. With the glare, spiderwebs and the female’s diligent incubating – it was hard to get a good clear look. 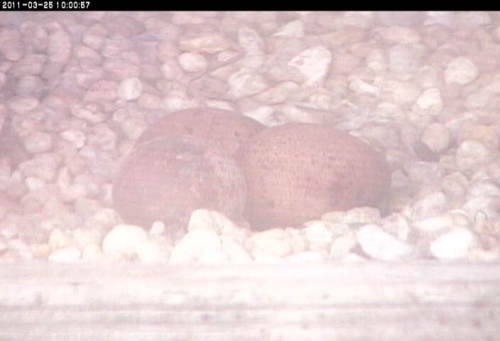 Finally late this morning we were able to capture photos of all three eggs.